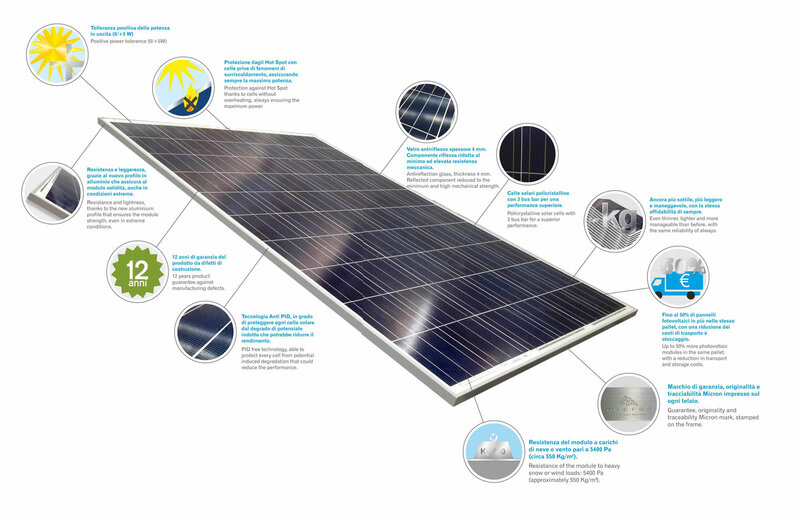 The new Polycrystalline module Micron 60p Advance is the result of careful design and further optimization of products branded Micron, a synonymous of superior quality and reliability. New ultra-thin frame and new high-tech components for greater efficiency to advantage the performance. 12 years warranty certificated against manufacturing defects and up to 25 years on the performance.